I’m all about healthy, bite sized, craving crushing, energy giving snacks! I love making stuff like this and putting them in the fridge or freezer and just grabbing them for on-the-go “treats” to help keep blood sugar levels stable and hunger at bay between meals. 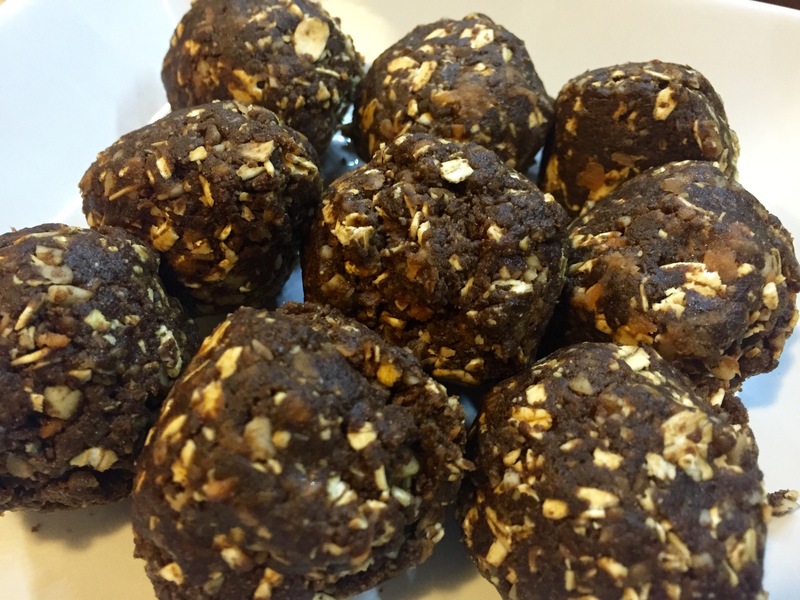 This is adapted from a beachbody recipe for carrot cake energy balls. I swapped out several ingredients, using chocolate rather than vanilla Shakeology was just one altered ingredient and I love it!! Combine all ingredients in food processor and pulse until “dough” is mixed evenly.